Bangladesh Public Service Commission published Non Cadre Job Circular & Apply Online may 2017. Interested candidates can registration in BPSC.GOV.BD Non Cadre Job Circular & Apply Online 2017 by this website at www.bpsc.gov.bd. Bangladesh Public Service Commission Non Cadre Job Circular & Apply Online 2017. Bangladesh Public Service Commission Non Cadre Job Circular & Apply Online 2017 was started on 31st May 2017 (Wednesday) at 12 pm. This application process will be continuing till 30th June (Friday) 2017 at 6 pm. 4. 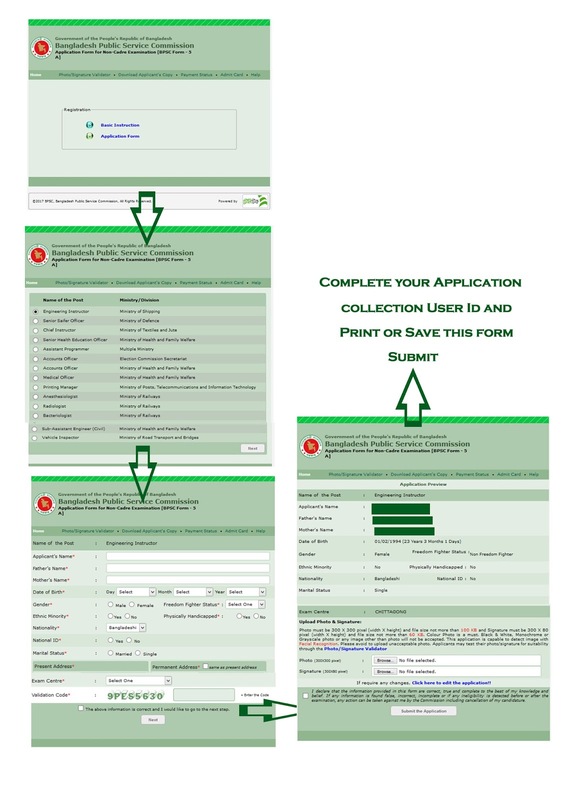 Application process via Online. How to apply Non Cadre in BPSC? Applicant has to attend written exams and viva voice. Written exam’s syllabus will be found in here at www.bpsc.gov.bd. Preliminary objective test or written will be held in Dhaka, Chittagong, Rajshahi, Khulna, Barisal, Sylhet and Rangpur. 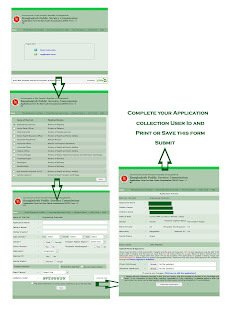 Age: Applicant’s Age is mentioned in notice for All posts. For freedom fighter’s son or daughter it wills highest 32 years old. But For freedom fighter’s grandson or granddaughter it will be maximum 30 years old. Tags: bpsc non cadre exam date and seat plan. bpsc non cadre. www bpsc gov bd job circular. bpsc job circular. bpsc gov bd. bpsc non cadre exam notice. www bpsc gov bd non cadre result. bpsc non cadre admit card. bpsc teletalk com bd admit card. www bpsc gov bd com. exam date of assistant district education officer. ministry of commerce bangladesh job circular. online application. bpsc assistant programmer circular. bpsc job circular 2017. ttc job circular. www bpsc non cadre exam notice. bpsc exam date for sub asistant engineer electric. bpsc ttc instructor job date. 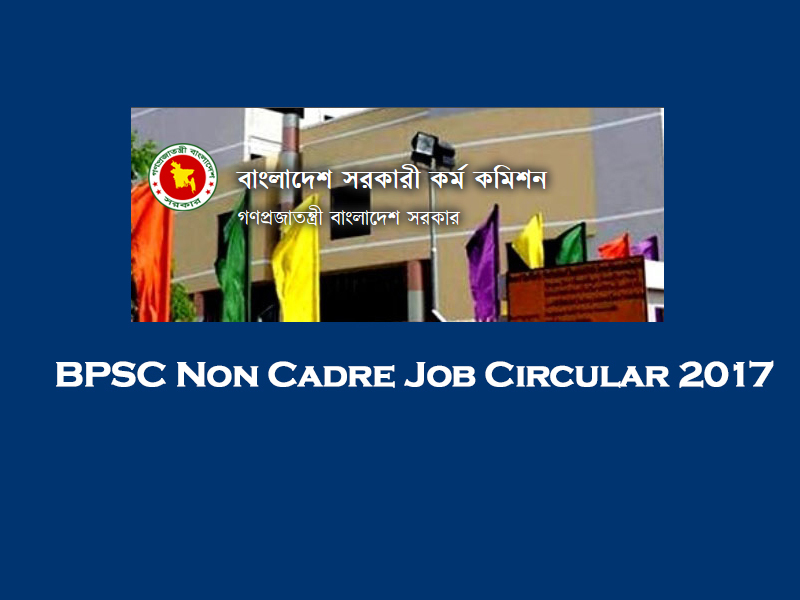 bpsc non cadre circular. bpsc non cadre bd job circular.